Enhance your presentation with a modern twist on service and presentation. 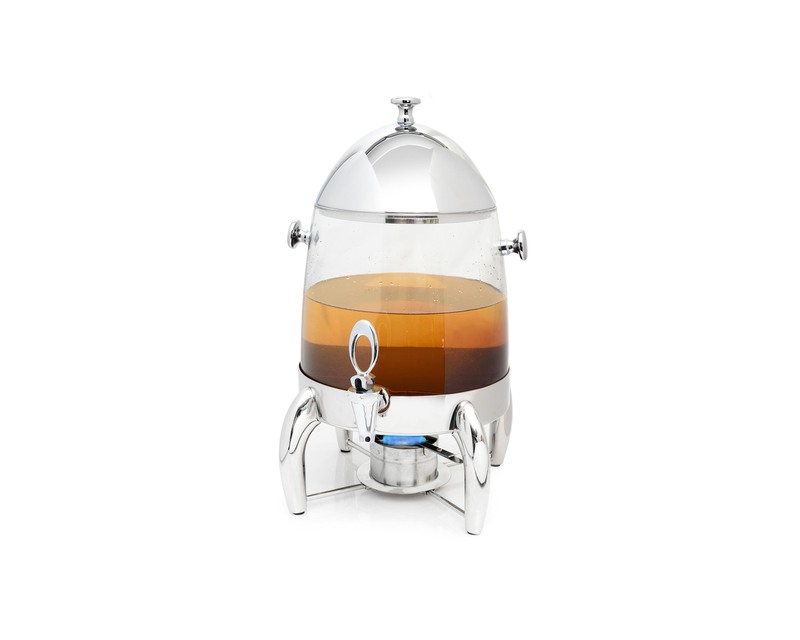 Serve your Apple Cider with Eastern’s decorative Beverage Dispenser, designed to keep your beverage Hot for many hours with a See-Through PC Hot Beverage Dispenser. Stainless steel/Silverplate dome cover and stainless steel/Silverplate base with acrylic container. Removable container for easy refill and quality drip less easy-flow spigot. Beverage ID #9542 tag with chain clips on to the beverage juicer, #9450 Drip catcher stainless steel tray slides.